Two Democratic House chairmen came out in defense of freshman Rep. Ilhan Omar’s (D., Minn.) controversial September 11 comment last month. After the clip of Omar went viral, Republicans and some Democrats in Congress voiced their disgust at the comment. President Donald Trump tweeted out a video of Omar’s comments followed by footage of the airplanes flying into the Twin Towers and then the towers collapsing, sparking outrage from Democrats who believed criticism of Omar’s comment was “inciting violence” against her. Reps. Bennie Thompson (D., Miss. 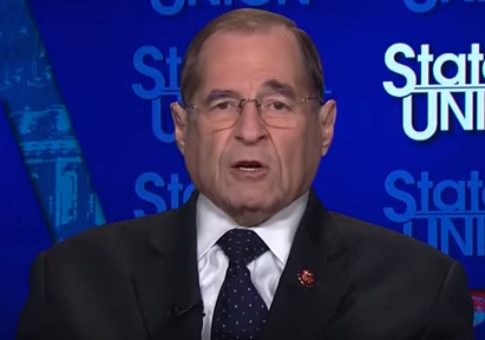 ), the chairman of the House Homeland Security Committee, and Jerry Nadler (D., N.Y.), the chairman of the House Judiciary Committee, appeared on ABC and CNN, where they defended her comment and pushed back against Trump’s tweet. ABC’s This Week host George Stephanopoulos was not satisfied with Thompson’s answer, pressing him further. CNN’s State of the Union host Jake Tapper asked Nadler whether he took issue with Omar’s 9/11 comment, prompting him to say that he had no problem with what she said. The post Top House Democrats Defend Omar’s 9/11 Comment: ‘I Saw Nothing Wrong With It’ appeared first on Washington Free Beacon.